"The people that were helped would have never been able to pay for these repairs. 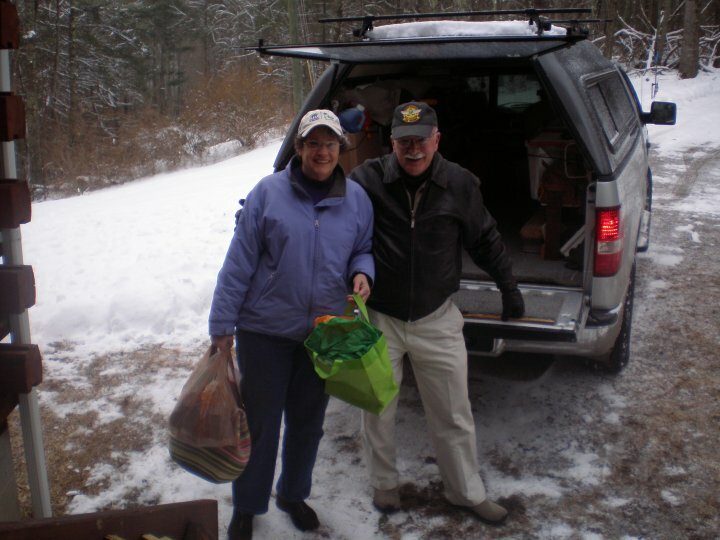 By helping people in need the group felt gratified and humbled." 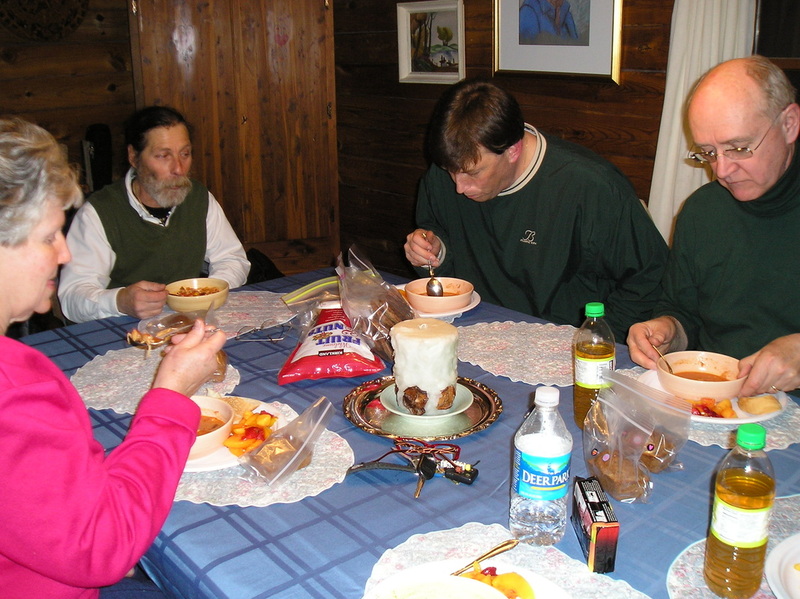 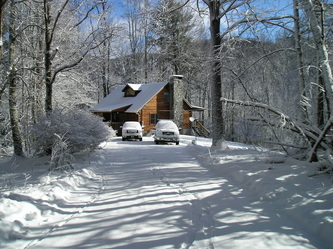 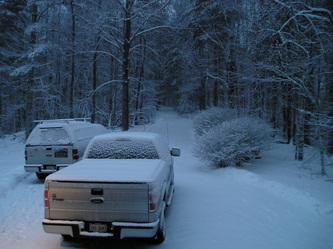 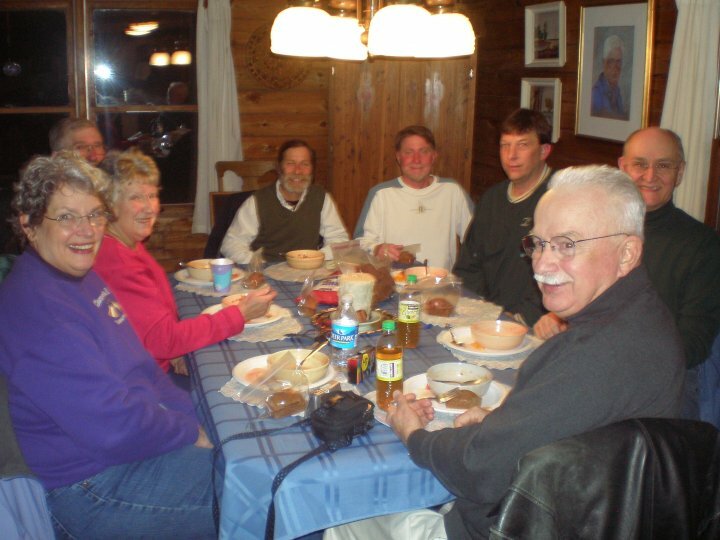 In February of 2010, six volunteers from Sterling, VA traveled through a snow storm down to Macon County, N.C.
On this trip they painted the crumbling interior of a local family's home, whose husband and father was struggling with terminal cancer. 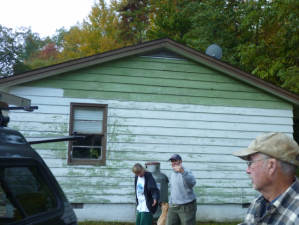 They also insulated and filled in exterior-facing holes in Ms. Melinda's basement. Ms. Melinda, an elderly and handicapped woman, attends church near our farm in Macon County. 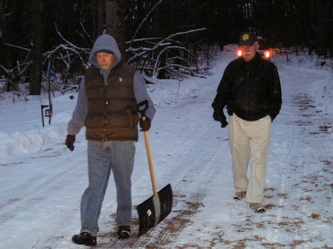 Our volunteers worked tirelessly in severe winter conditions for five days. 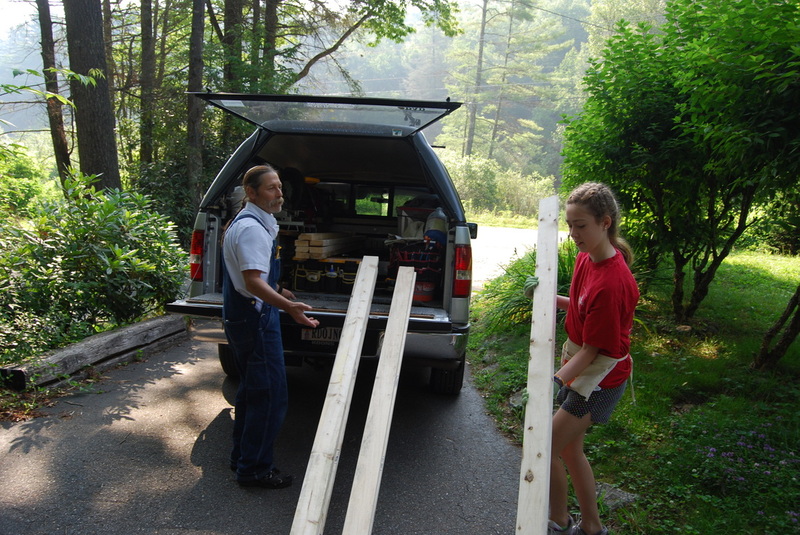 In July of 2010 a group of 13 volunteers from Sterling United Methodist Church traveled ten hours to Macon County, N.C. to meet up with our founders, Vini and Jane Short. 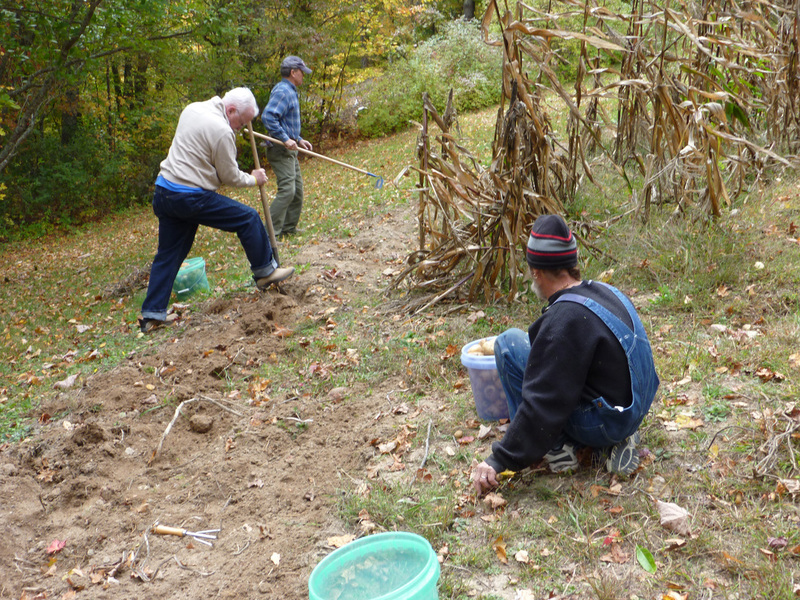 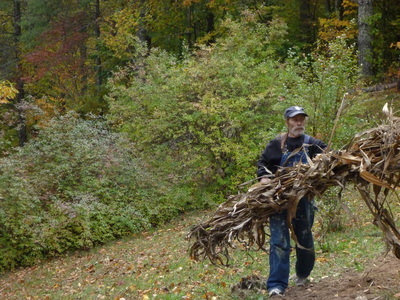 Over a five-day span, the group worked on several projects. 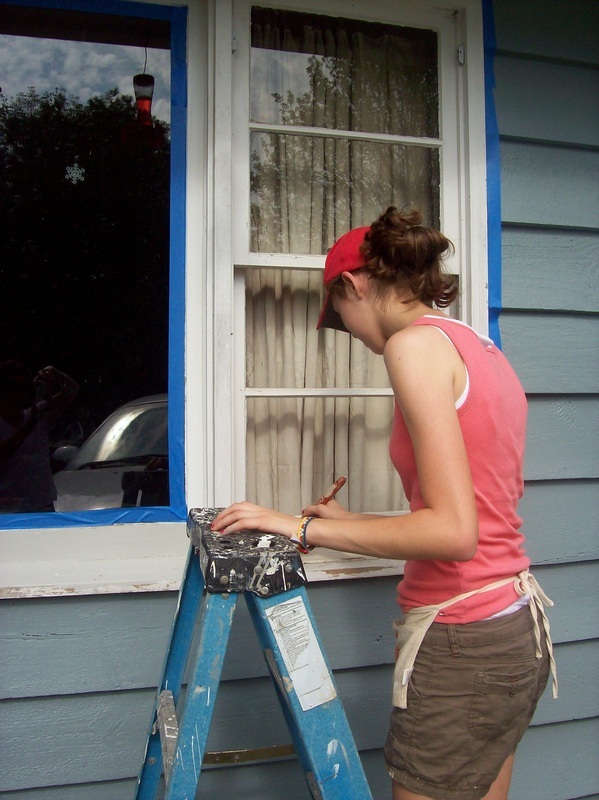 At Agnes' house, the volunteers re-glazed and painted all of her windows and scraped and repainted the front porch, top to bottom. 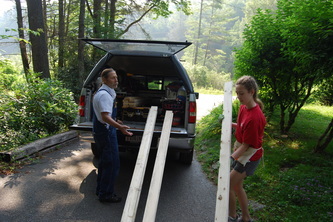 At Ms. Melinda's house, the team added a stair rail leading down into the basement, allowing her to use the staircase for the first time in years. For Mr. Mike, the volunteers scraped and repainted the outside of his house and caulked his windows - raising spirits and filling drafty gaps. 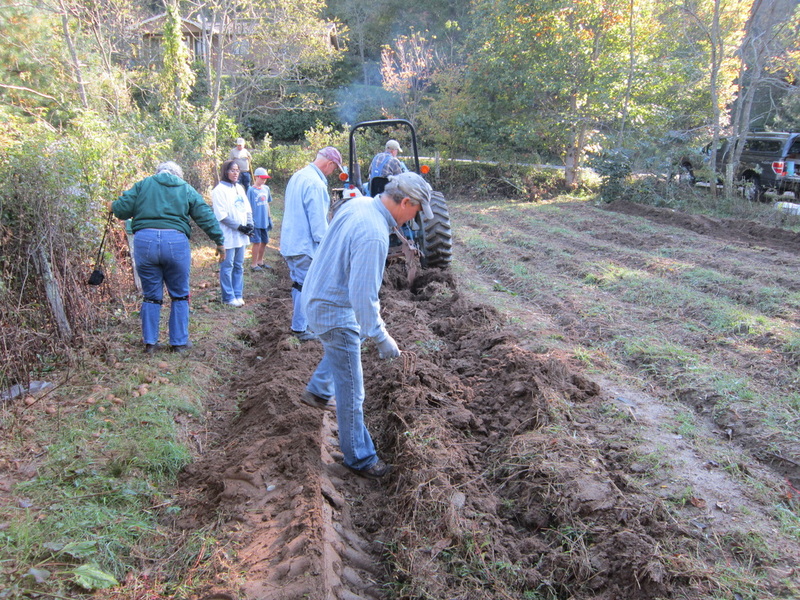 DGB also connected with the Highlands Emergency Council, one of Macon County's food banks and second-hand hubs. 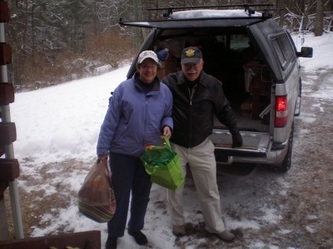 Having recently received an influx of donations, our volunteers spent a day organizing all of the clothing and other donations for distribution. 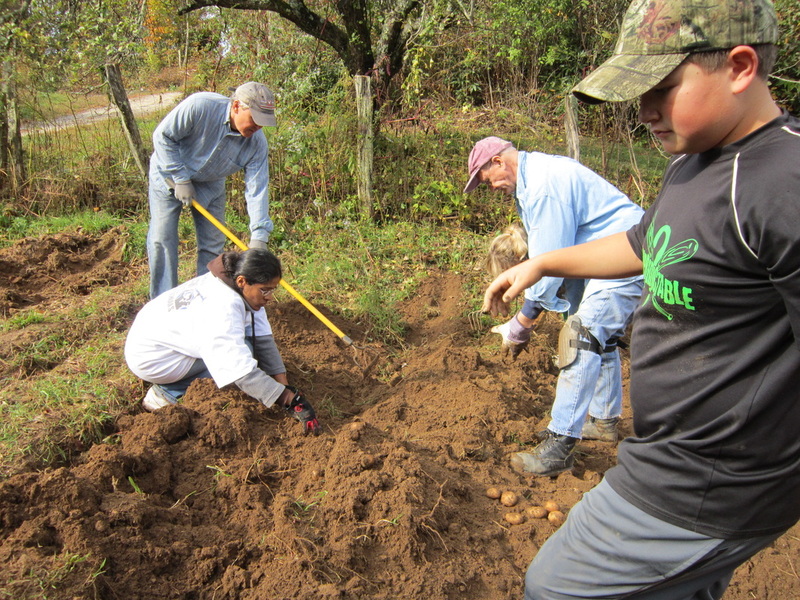 In October of 2011, three members of Sterling United Methodist Church traveled from Virginia to Macon County to meet up with Vini and Jane for a four-day service trip. 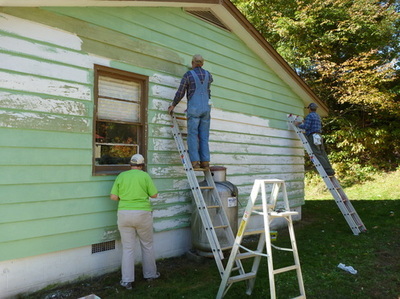 They repaired the roof and repainted the home of a needy neighbor outside the town of Highlands, NC. 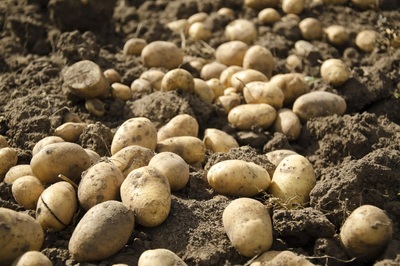 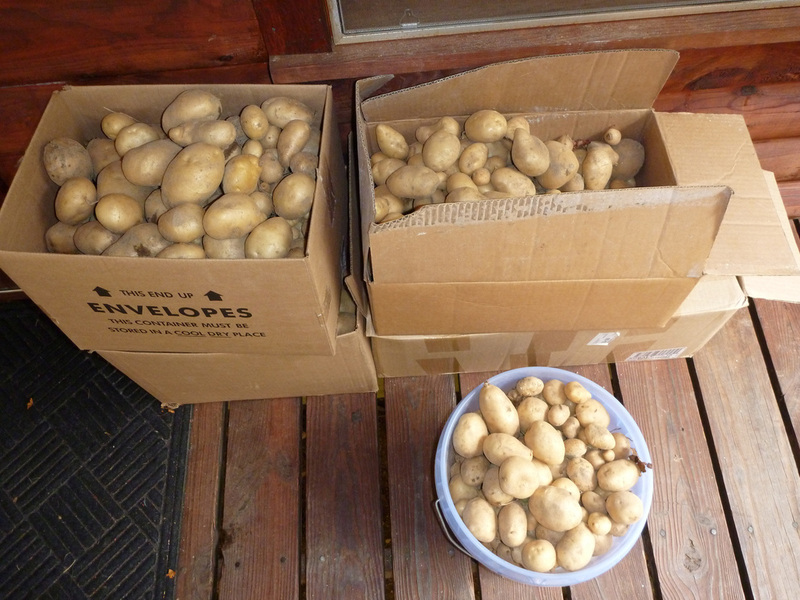 Our enterprising volunteers also harvested a late potato crop just in time for Thanksgiving food bank donations.